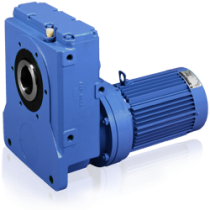 The Cyclo HBB combines the long-proven Cyclo reducer and a single stage offset parallel helical gearbox in a rugged integral, shaft-mounted design. The HBB incorporates the strength and flexibility of the Cyclo reducer with the adaptability of a shaft-mounted, reducer. With a 24-month warranty, regardless of hours of operation, the Cyclo HBB is an excellent choice for applications in material handling, shredders, specialty machine industries, conveyors, and other applications requiring a simple, convenient shaft mount reducer. Torque Up to 75,800 in. lbs.